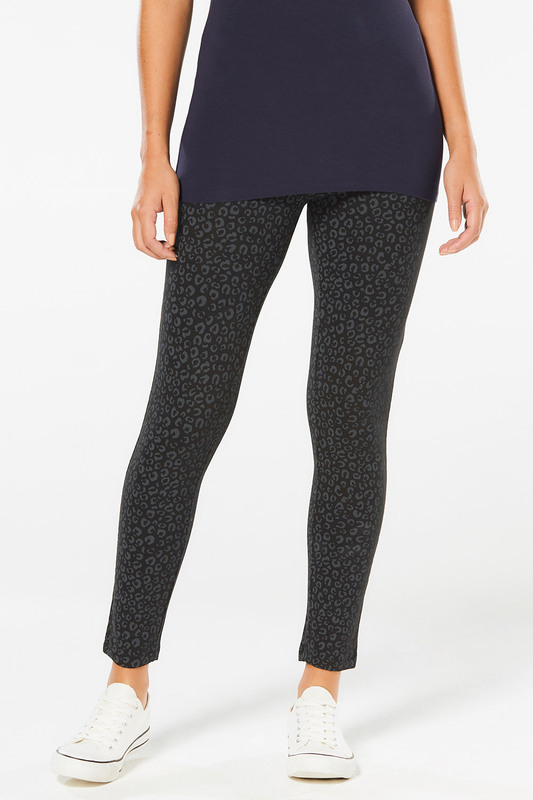 Feel comfortable and feminine on laid-back days in these cotton blend leggings. 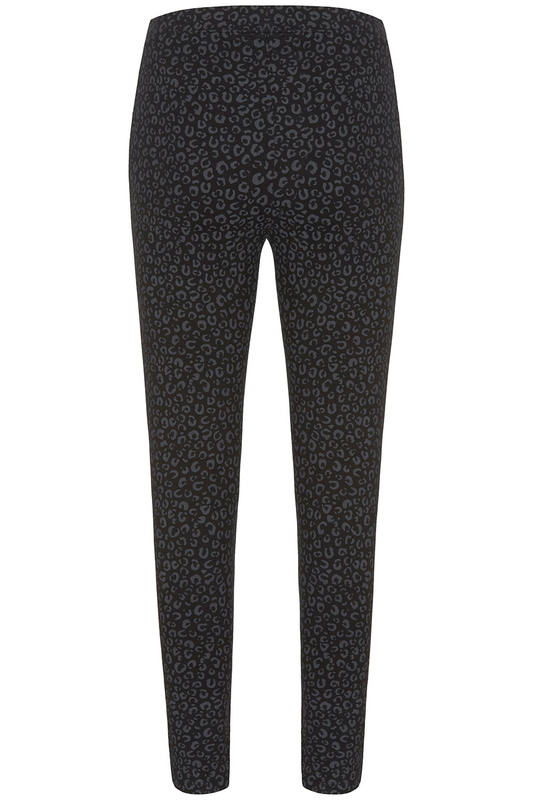 An all-over leopard print in black and grey tones adds a subtle hint of pattern to your outfit, while the deep waistband with a touch of stretch makes for the perfect fit. 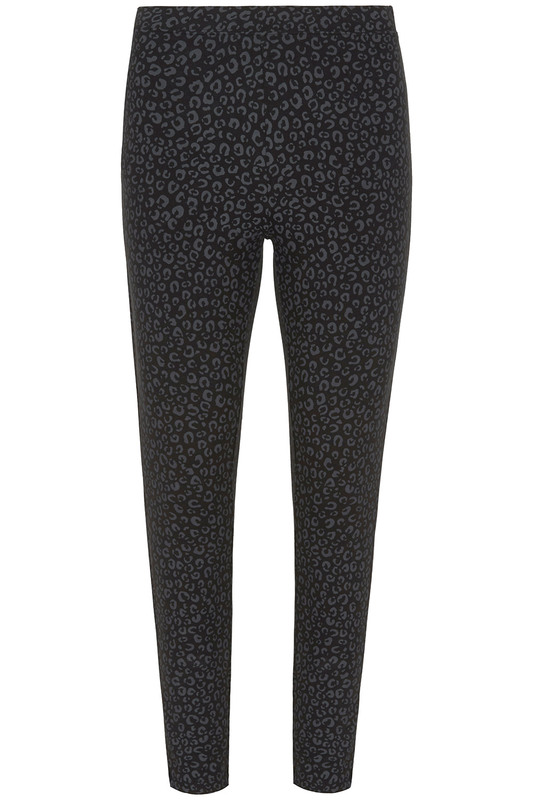 Wear with your favourite sweatshirt and slippers for lounging around the house, or a shift dress and flats for meeting friends.